Anish Cheriyan is an Indian Software Quality Assurance professional and thinker in the discipline of software engineering. A seasoned business executive, have been Head of Quality two times, once as a Associate Quality Manager for Sobha Renaissance- a product and services based organization and right now heading the Quality and Cyber Security & Software Engineering Center of Excellence as Director Quality for Huawei Technologies India Private Limited - one of world's largest telecommunications service provider. He also Heads the Knowledge Management Function in Huawei India. Anish has wide experience in handling Products for Large Scale Telecom teams including network Management/embedded/protocol stack/ application systems as a Quality Expert and as Engineering Manager. As Head of Quality of Huawei India Research and Development Center, Anish is responsible for driving the Quality function. His key responsibilities include Quality Governance, Industry management, Engineering and Service Delivery process management. Anish has conducted more than 1000 audits with varied scope and has strong understanding of the Quality assurance patterns. 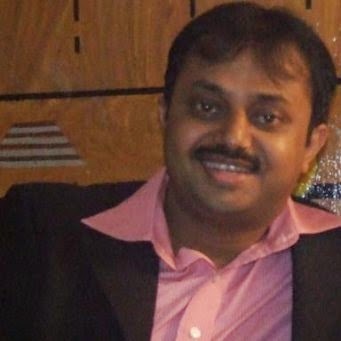 Anish had been an Organization Transformation Leader for Agile Adoption at Huawei India. He has coached teams both in India and other Overseas Research and Development Center of Huawei. As Cyber Security Center of excellence, his role is to ensure that the cyber security and privacy assurance system integrates end-to-end cyber security into all the solutions. Anish drives this through cyber security integration into product and service life cycle, regular compliance audits and corporate competency initiatives. He has good expertise in Exploit Analysis and Threat Analysis, Threat Modeling and Secure architecture Review, Penetration testing approach. Anish is passionate about software engineering and he keeps researching on better ways of software development. He has worked with teams comprehensively on Agile, XP, Scrum, Lean, Lean Startup, Continuous Delivery and Devops adoption. Anish has managed more than 40 task forces with peak size of >100 members. He has extensive experience in managing task forces of different nature & operation mode and delivering high quality output from the task forces. Anish is highly collaborative, open and transparent in his approach with a result driven focus which has helped him become the Huawei Individual Gold medalist, Best Quality Assurance professional, to name few of the accolades which he received. He was also selected as the best Department Head two times during his tenure as Quality Department Head for one of the Business Line. Anish has very good understanding about Integrated Product development, System Engineering, Agile Scrum , XP, Continuous Delivery & DevOps, Standards like CMMI, ISMS, PCMM, TOGAF, ITIL,ISO 9001:2000, ISO 15504, ISO 14001, COBIT and BS7799. Anish has passed PMP (Project Management Professional) and CSQA (Certified Software Quality Analyst) certifications in past. Anish is also a Certified Privacy Professional from Data Security Council of India , a Nasscom Initiative. Anish is currently pursuing his Doctoral Research in Quality and Software Engineering. Anish is an Active Volunteer for Agile India, Agile Test Alliance and IEEE Standard Association member.